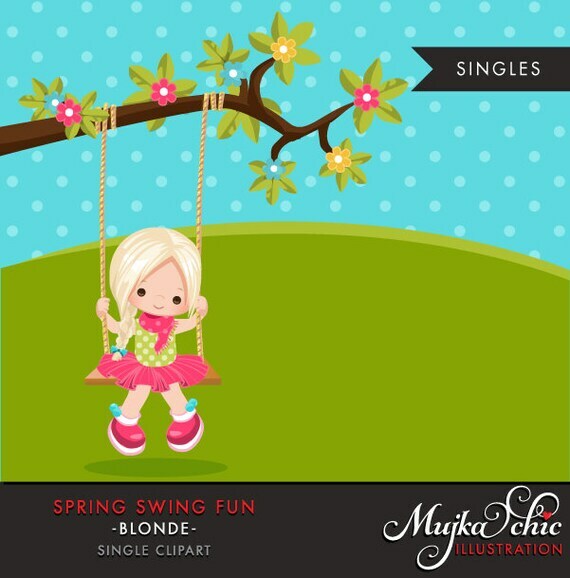 Cute little girl character playing outdoors, swinging, beautiful spring tree. Perfect for invitations, party printables, planners and embroidery. This design does not include polka dot background and hill. Graphic is saved on transparent background. Format: 300 DPI transparent PNG file. Personal Use & Commercial Use with Credit: Agree to credit Mujka on the page you are selling your product. By crediting Mujka, you do not need to purchase commercial license. Get your ONE TIME Commercial License here. This license allows you to use our graphics for unlimited prints and you do not need to credit. Products by Mujka Design Inc.